The Duck Race runs every two years and is one of our main fundraisers. 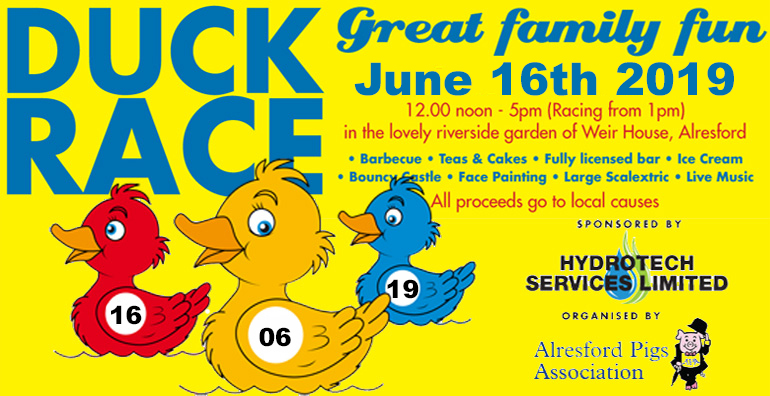 A much-anticipated part of the Alresford event calendar, the Duck Race is a wonderful family day for everyone to enjoy. 2017's event raised a staggering £9,000 so please help us again on June 16th 2019! Remember our amazing 2017 Programme?